Adorable 3600 sq.ft. Cape Cod centered on 32 acres. 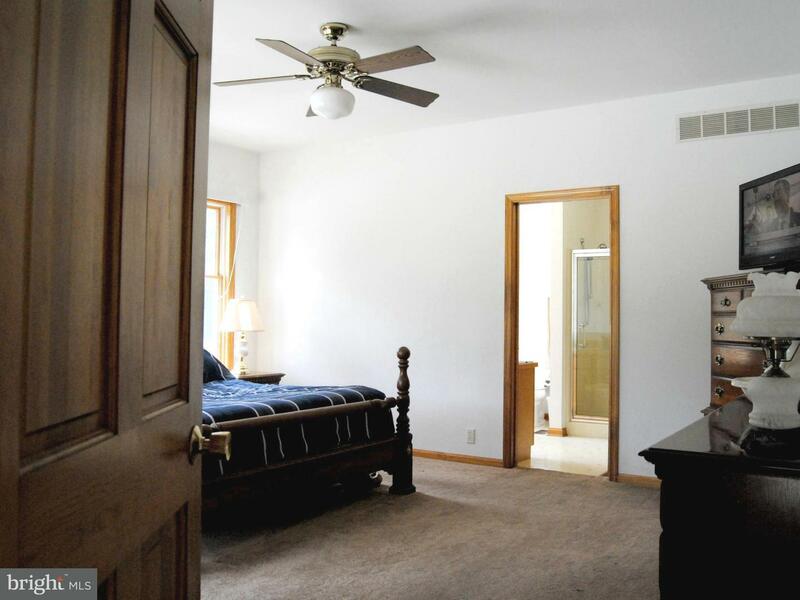 Home features a master bedroom with access to In-ground pool. Master Bath with garden tub. 2 additional bedrooms and 2 additional full bathrooms on main floor.Spacious Living Room with wood burning fireplace, dining room and large kitchen with breakfast nook, double oven & cook top. Finished 2nd floor with bedroom, large office space, kitchen, full bath and game room with propane fireplace, pool table and storage closet.Included on property is a spacious 50 X 100 Delmarva Pole Building.Steel, insulated inside & out. Full Bath, Washer & Dryer, Electric Stove, Refrigerator & Dish Network.